I happen to come across a blog post by Billy Suter of West Virginia Cards. In a post in March he went about the task of putting together a all-Billy team. Which got me thinking that I should do the same. 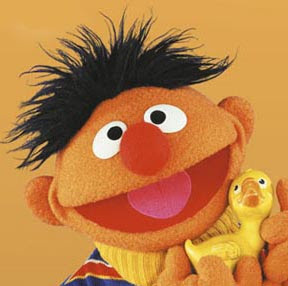 So, without further ado, here is the all-Ernie team. 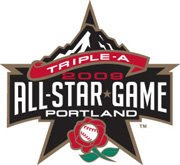 AAA All-Star Game voting is going on now. Go here and vote for the Isotopes and vote often. 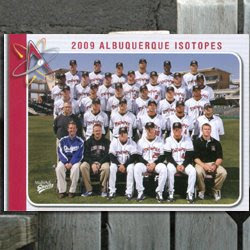 Cards in the Attic has pics of the 2009 Albuquerque Isotopes team set. Check them out here. See more pics from the set and the game they were handed out here at Dinged Corners. Nice, GCRL makes a Mitch Jones Goose Joak card. 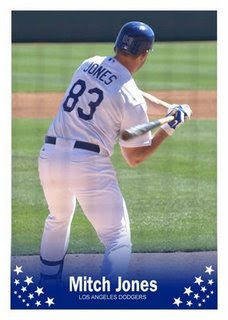 Check out the other Goose Joak Original Baseball cards of Dodger players here. Wax Heaven has some previews of Upper Deck's 2009 Sweep Spot set. All I got to say is that I would kill for this Jordan autograph. Check out the Congressional Baseball Game between the Democrats and Republicans. THE DEMOCRATS WERE SO INTO IT, on the Democratic side! This made them infinitely more annoying than the Republicans, who were just trying to get through the day, as usual. Not even joking, these Dem staffers broke into MANY loud, smug group chants of “Yes We Can,” when they weren’t heckling “EAAAARRRRMAAARRRKS” instead.